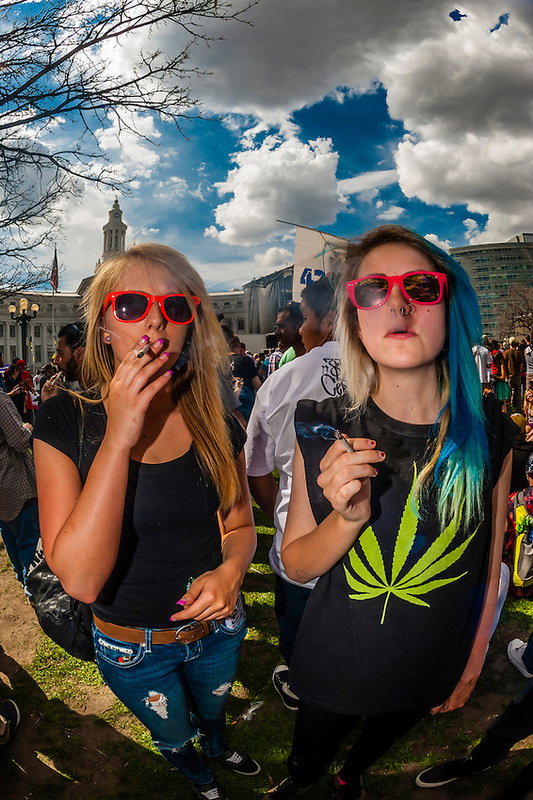 People in the crowd smoking pot at the 420 Cannabis Culture Music Festival, Civic Center Park, Downtown Denver, Colorado USA. This was the first 4/20 celebration since recreational pot became legal in Colorado January 1, 2014. A crowd of up to 80,000 people attended the event.